In order to visit Ha Giang, Fansipan, Pu Si Lung, Bach Moc Luong Tu and A Pa Chai, tourists must get a permit from the local border posts or management boards. Fansipan is the highest mountain of the Hoang Lien Son range (3.143m). 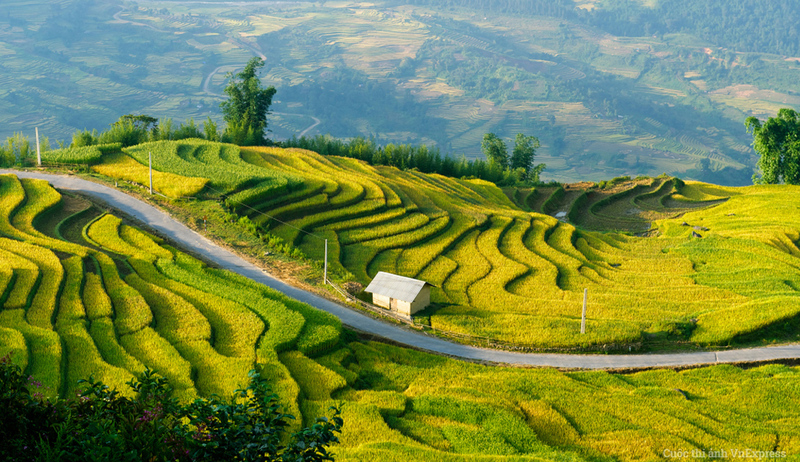 It is located between the provinces of Lai Chau and Lao Cai. To climb Fansipan, visitors must get a permit from the Center for Ecotourism and Environmental Education. The center is located on the road to Cat Cat tourist area of San Sa Ho Commune, Sa Pa district, Sapa town. Also, tourists will have to pay a VND150,000 ($7) fee and some other charges like insurance, hygiene, monitoring and residence. The three most popular starting points to Fansipan are Tram Ton, San Sa Ho - Sin Chai village and Cat Cat village. Pu Si Lung is one of the highest mountains in Vietnam, located in Lai Chau province, bordering Vietnam and China. The exact height of the mountain remains a mystery. In some travel forums, Pu Si Lung is said to be 3.076m or 3.083m high, from some people who have conquered it. However, to date, the number of travelers who have touched this milestone is very limited, due to terrain obstacles and the difficulty to get a license. To get a licence, tourists should take your personal papers to the headquarters of the Border Guard of Lai Chau on Hoang Van Thai Road, Lai Chau City. The permit must be submitted to the border post of Pa Ve Su commune. With the height of over 3,000 meters, Moc Bai Luong Tu, located between the provinces of Lao Cai and Lai Chau, is surprisingly relatively new to many travellers. To conquer this peak, you need about three days and two nights. There are two starting points: Ky Quan San village in Sang Ma Sao commune, Bat Xat district of Lao Cai province and Den Sung village in Sin Sui Ho Commune, Phong Tho district, Lai Chau province. If you start from Ky Quan San village, you don’t need a permit, but you will need one if you choose Den Sung village. 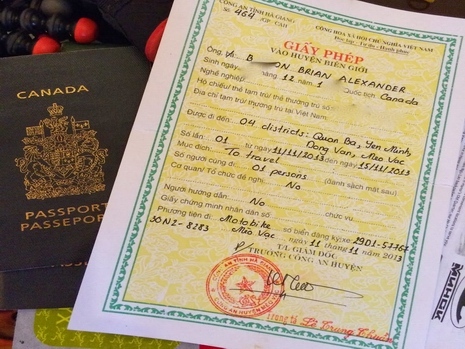 The procedures to get the licence are similar to Pu Si Lung but somewhat easier. Located in Sin Thau Commune, Muong Nhe District, Dien Bien Province, A Pa Chai is known as the westernmost point of the country. Though the mountain is not too high, conquering A Pa Chai is not easy. As A Pa Chai is at the T-junction of the three countries of Vietnam, Laos and China, trekkers will have to prepare papers. Previously, tourists had to have the written permission of the Border Command of Dien Bien province, but now they only need to show identification documents such as an identity card, passport or driving license.